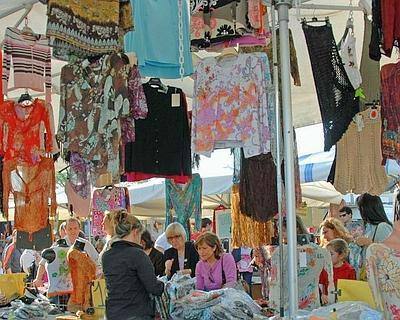 Tuscany is not only, wonderful countryside landscapes, beautiful cities, renaissance art, culture, excellent wines and food, artisanal products, but also fashion and shopping. In this article we would like to give you the main Outlets’ addresses. -PRADA has been the first important griffe opening the door of his factory door. 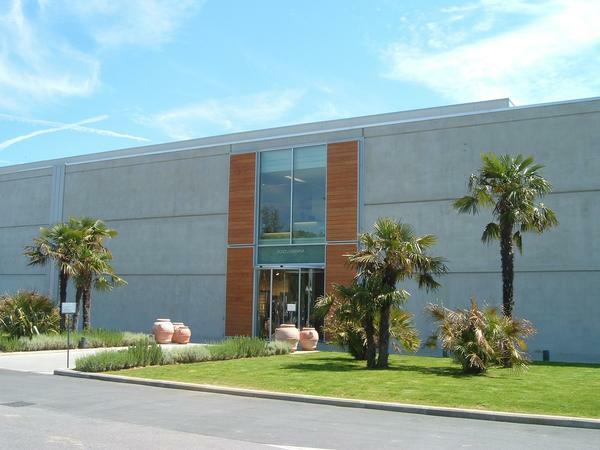 The factory store is also known as I PELLETTIERI D’ITALIA, and it is located in Levanella, 52025 Montevarchi (AR). The telephone number is 0039 055 91 901. Opening hours: normally seven days a week. It is better to call ahead to check opening hours as they can be subject to sudden changes. Saturday is the busiest day. Avoid it, if you can. The admission is possible until half an hour before closing time. By train: take the train to Montevarchi station and then get a cab (about 15 minutes). By car: take the A1 motorway – Exit ‘Valdarno’, Out of the toll turn right and follow signs for ‘Montevarchi’ or ‘Centro’. At the big round about that has an IPER – COOP supermarket exit left. Then continue towards Arezzo. Pass through Montevarchi and ‘Località levanella’ after the village pass a gas station and then follow signs for I PELLETTIERI D’ITALIA in the ‘Zona Industriale’ on the left. The sign for the outlet is at a traffic light. On your left is a huge grey factory that is all Prada and the outlet is in the back of the main factory complex. ADVISE: It is better to arrive at Prada before it opens at 9.30. At the door you take a ticket from the stainless steel dispenser and then retire to the nice café next door, which has an electronic number counter to let the client waiting know when the turn comes. The best items are always there first thing and go quickly, later in the day there can be a long wait before getting in to the out let. Keep your ticket. Any thing you are interested in to buy, you have give to the sales assistant who will store it for you whilst you continue your choices, at the end you have a second chance to re look at every thing calmly and make your final selection. 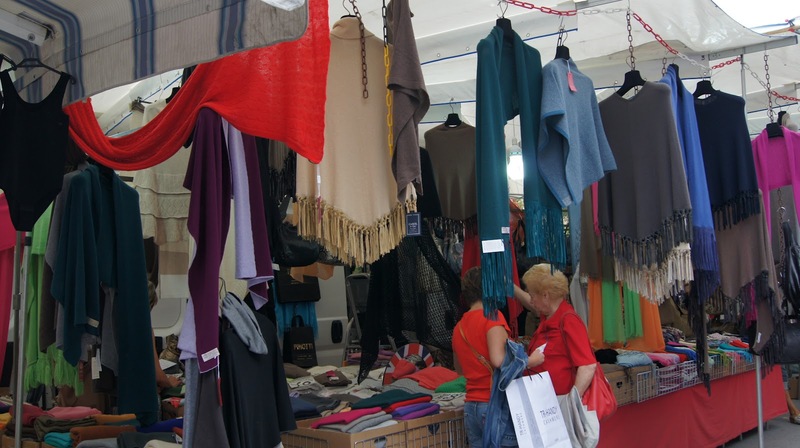 -THE MALL is located in Leccio Reggello (Florence), number 8, Europa street. 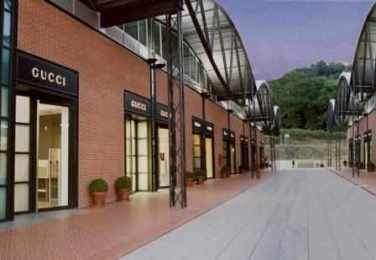 The Mall outlet centre is a thirty-minute drive from Florence, in the middle of the Tuscany countryside. The Mall is a gallery of select, top luxury brands and high quality products including: Alexander McQueen, Armani Jeans, Balenciaga, Bottega Veneta, Burberry, Dior, Ermenegildo Zegna, Fendi, Giorgio Armani, Gucci, Hogan, Lanvin, Loro Piana, Marni, Pucci, Roberto Cavalli, Salvatore Ferragamo, Sergio Rossi, Stella McCartney, Tod’s, Valentino, Yves Saint Laurent. The Mall offers a wide range of services including a Customer Information Centre, the café restaurant DOT. COM, and a cash point. There are also three free car parks. From Milan: Take the A1 motorway towards Florence/Rome and take the exit Incisa. Take the road on the right towards Pontassieve until reaching Leccio. Continue straight through Leccio and The Mall will be on the left. From Florence: Take the A1 motorway towards Rome and take the exit marked Incisa. Take the road on the right towards Pontassieve until reaching Leccio. Continue straight through Leccio and The Mall will be on the left. From Rome: Take the A1 motorway towards Florence and take the exit marked Incisa. Take the road on the right towards Pontassieve until reaching Leccio. Continue straight through Leccio and The Mall will be on the left. Take the train from Florence’s Santa Maria Novella station to Rignano sull’Arno and continue by taxi to Leccio (about 5 min). There is a daily service from the centre of Florence to and from The Mall (for information and shuttle bus reservations please contact the Information Centre). The Outlet was constructed as if it were a renaissance town around the Sieve river The Barberino Designer Outlet offers more than 100 designer brand stores. 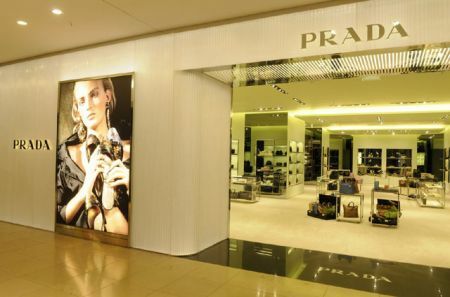 PRADA, DOLECE&GABBANA, POLO, POLLINI, MORESCHI TOMMY HILFINGER, NIKE, ADIDAS and many others brands have their own shop inside of the Outlet, where they offer reduced prices with reduction from 30% to 70% throughout the year. Tuesday to Friday from 10 a.m. to 8 p.m. – Saturday and Sunday from 10 a.m. to 9 p.m.
On Mondays open from 2 p.m. to 8 p.m. (only from June to September, in December & in January). Closed from February to May, in October and in November, the outlet is closed on 25 and 26 January, 1 January, Easter Sunday, 1 May and 15 August. 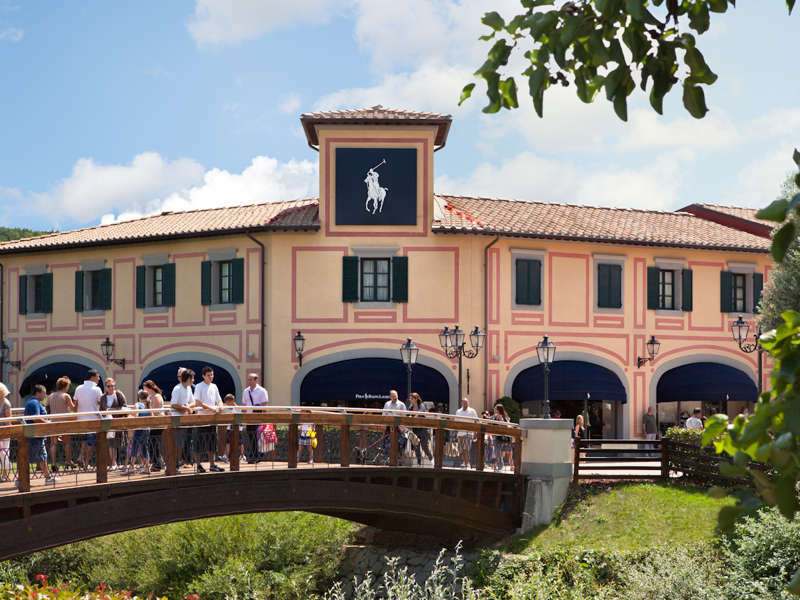 The Valdichiana Outlet Village is located between the provinces of Arezzo and Siena, at the intersection of main routes such as the A1 motorway (exit Valdichiana) and the Siena – Perugia highway (exit Bettolle). 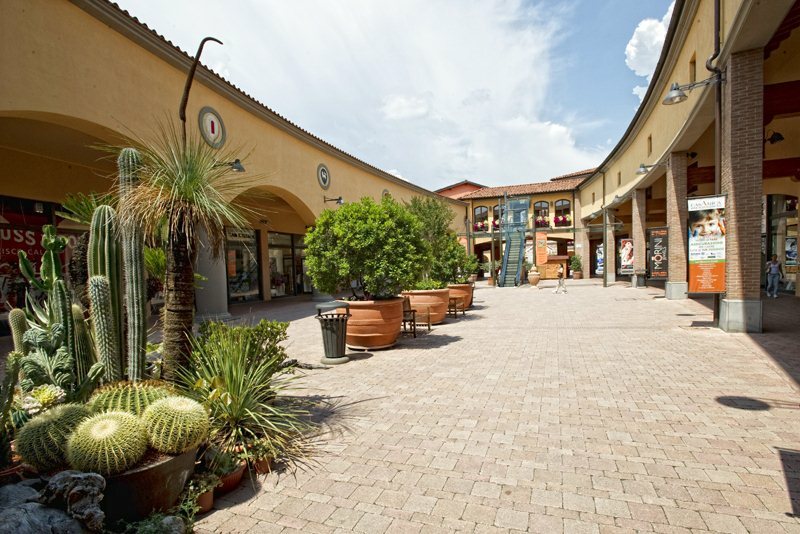 The Valdichiana Outlet Village houses over 140 famous designer and brand Shops offering from 30 to 70% discounts all year round, but during sales periods further discounts and offers are offered. The Village offers a beauty centre, a playground, a library and many food courts where the best local food and wines are offered. The recent opening of the Tourist Information Office APT makes it possible for visitors to receive information on the outlet as well as on the entire area, the events taking place and peculiarities. Restaurants – Cafés – Ice Cream parlours: 10.00 a.m. – 11.00 p.m.
From June 01 to August 31: from Monday to Sunday: 10.00 a.m. – 8.00 p.m.; Saturdays and Sundays: 10.00 a.m. – 9.00 p.m.
By Car: Motorway A1, exit at Valdichiana. From the exit follow the signs to the “Outlet Valdichiana”- S.P. 327 high way Siena-Perugia exit at Bettolle. By Bus: From Arezzo – terminal L.F.I. (next to the train station) get off at the stop in front of the Village. By Train: Station of Arezzo. The Arezzo train station is next to the L.F.I. Bus terminal from where the buses to the Village depart. By Plain: The nearest airports are: Firenze at 90 Km, Pisa at 160 Km, Roma at 250 Km. – DOLCE & GABBANA INDUSTRIA – SPACCIO AZIENDALE. This factory Outlet is locate in S. Maria Maddalena, 49, Pian Dell’Isola, Incisa in Val d’Arno, Firenze. We advise to call ahead to check opening hours as they are subject to sudden changes. Orientation Note: To get to Fendi, D&G and Gucci, exit the A1 motorway at Incisa and turn right. Follow the SS69. Look for a brown and Yellow sign for Fendi and/or D&G on the Left. The address’ are as they appear on the business cards of these outlets. Dolce and Gabbana and Fendi are almost neighbors, on the same street despite the different ways of describing the location. If you don’t have a car then go by taxi from THE MALL. To get to Gucci, continue past the turn for Fendi and D&G on the SS69 until you see signs for THE MALL. Make shopping in Tuscany during your vacation with Vacavilla which offers villas with pool and apartments all over the more beautiful area of the region.